Inside each TRUE commercial refrigerator is a factory engineered, self-contained, capillary tube system using (CFC free) 134A refrigerant. This system allows it to hold temperatures between 33 and 38 degrees Fahrenheit. Capillary tubes are tiny copper tubes attached from the end of the condenser to the beginning of the evaporator. The tubes control the pressure and flow of the refrigerant as it enters the evaporator. After the liquid refrigerant has traveled the length of the condenser, the pressure moves it through the capillary tube. Once the liquid is forced into the evaporator a pressure drop occurs that allows the refrigerant to expand into a gaseous state. This gas absorbs the heat and freezes any humidity in the fridge. Hence, a cold temperature in the fridge! Case closed! I really have no idea what I just wrote, but now I have even more respect for One Fat Frog Restaurant Equipment’s staff of in-house technicians. Five days a week (sometimes six) this devoted crew of specialists is in the One Fat Frog Commercial Kitchen Equipment warehouse working on used fridges, freezers, ice machines, ovens, etc. 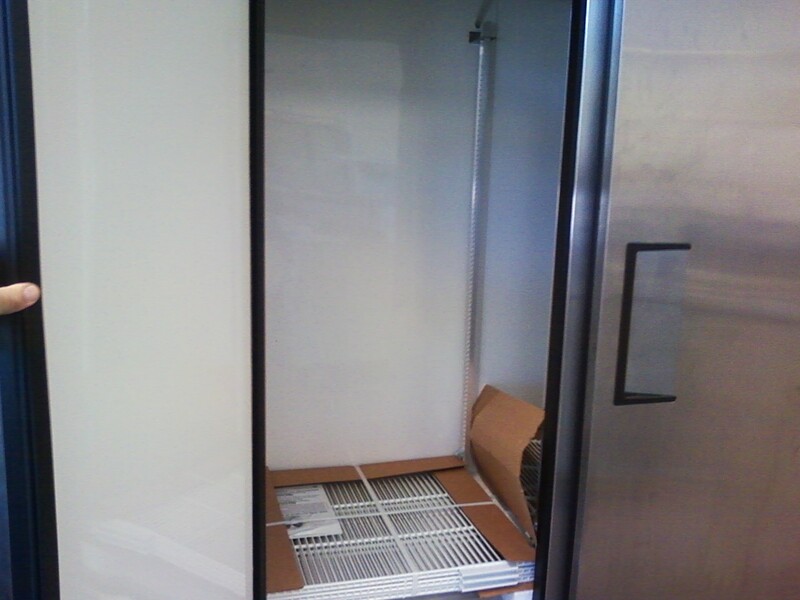 – making sure nothing leaves the One Fat Frog Restaurant Equipment warehouse unless it’s in perfect working order. You won’t find a staff like that at any of One Fat Frog Restaurant Equipment’s competitors! ← Did Somebody Say Brett Michaels?